← Back to School Sewing, Part II: Pattern Drafting FAIL! There’s not much to say about this block. I like the crispness of the squares and triangles, and the way the points all lined up so nicely for me. And I like the little instances where I was able to fussy-cut the fabric. 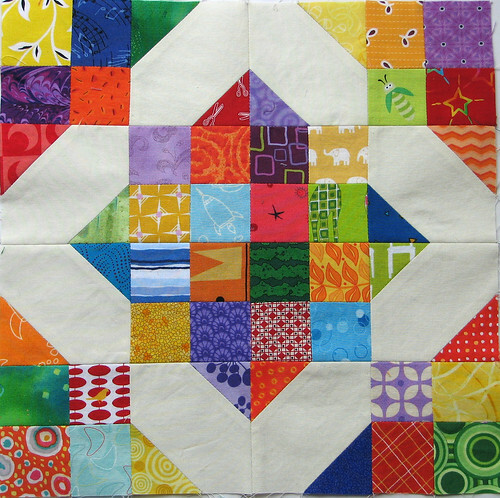 I think this block would work nicely for a whole quilt but, alas, this one is destined for a sampler!